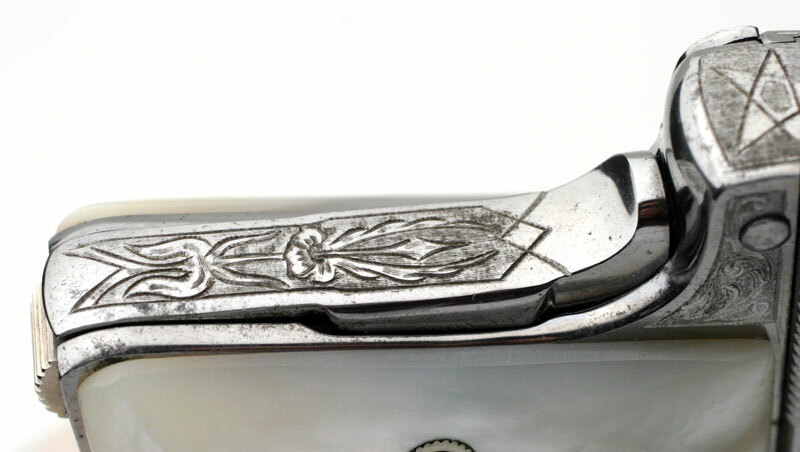 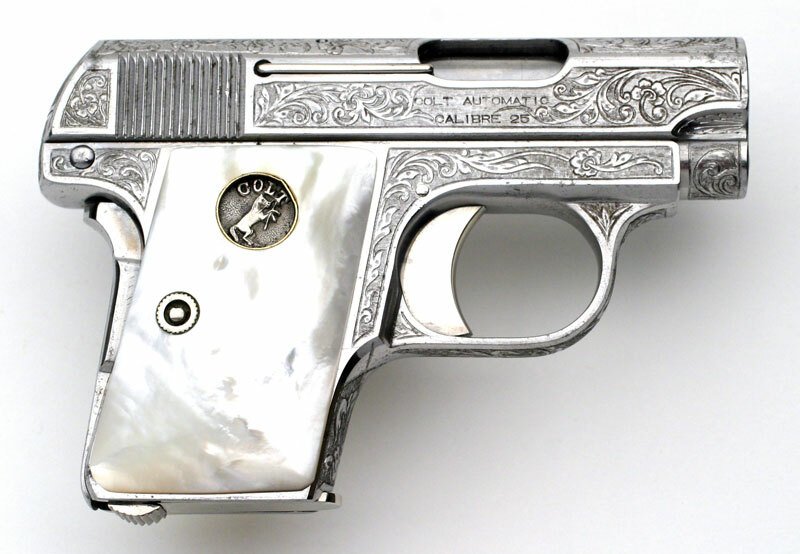 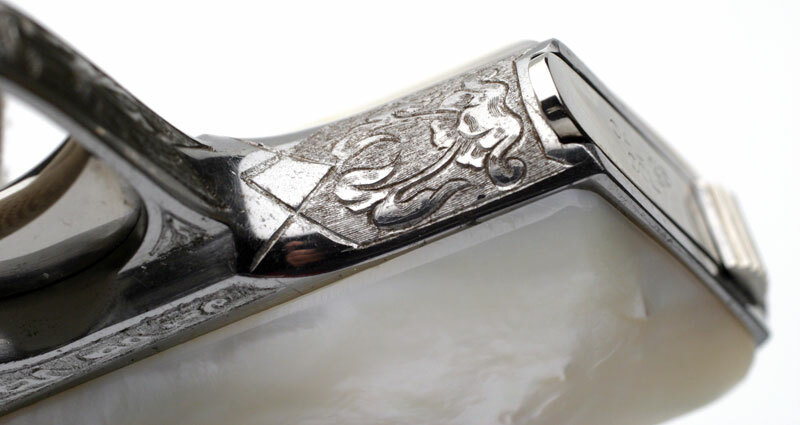 Colt 1908 Vest Pocket .25 ACP Serial Number 165082 Factory Master Engraved by William H. Gough Nickel Plated, Mother of Pearl Stocks - The records indicate this pistol was shipped out as a .25/c, 2", in the Green state for engraving, with the final finish to be nickel and Pearl stocks. 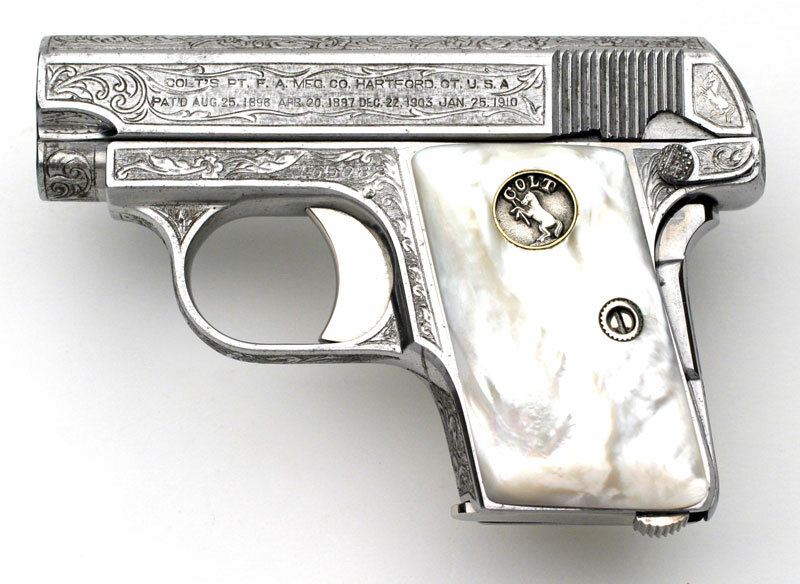 A factory order number 555 was assigned to this pistol for the work and it was shipped to Murta Appleton & Company in Philadelphia, PA c/o William Gough on May 29, 1917, a shipment of 1 gun. 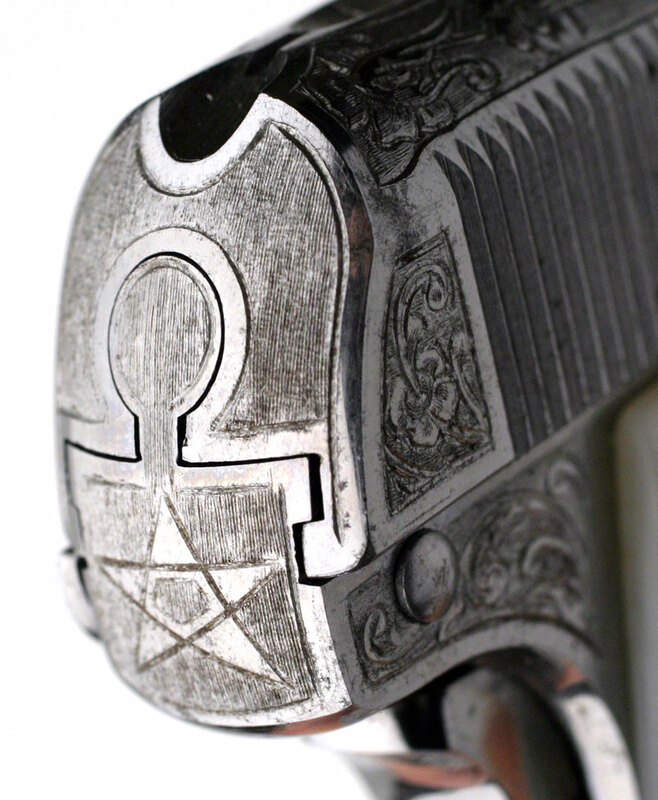 Engraved grip safety and five pointed star on back of frame.